New yacht inspired options characterize the powerful Estrella 65, the new flagship of HCB Yachts, formerly Hydra-Sports Custom (HCB). 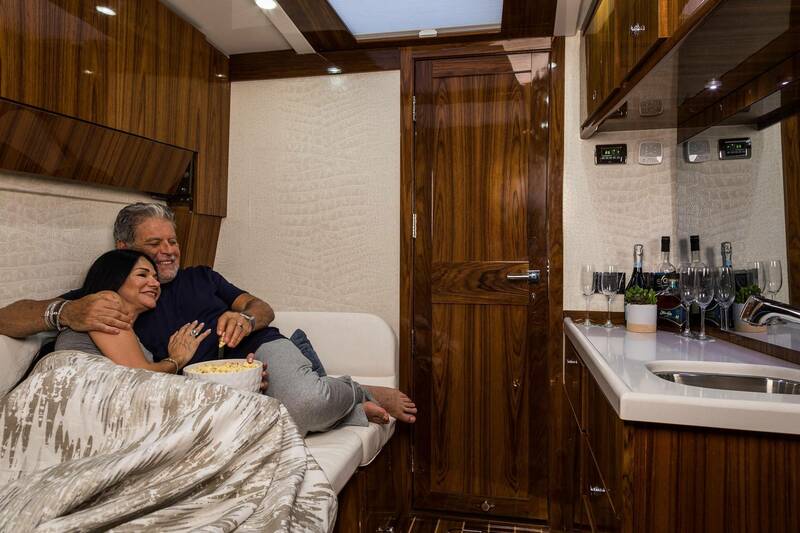 As the yacht that also fishes, HCB identified a new niche of discerning buyers focused on a performance ride, luxury comfort and styling. 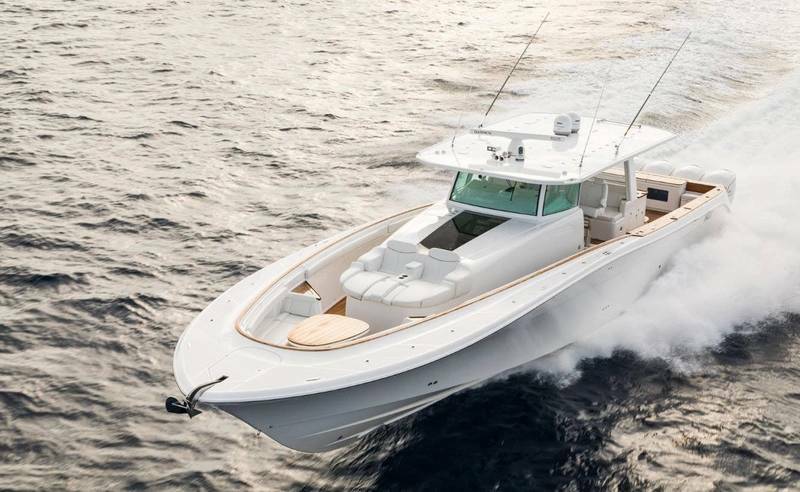 This 65-foot vessel hopes to capture an untapped market on the water between sport fishing and center console segments. 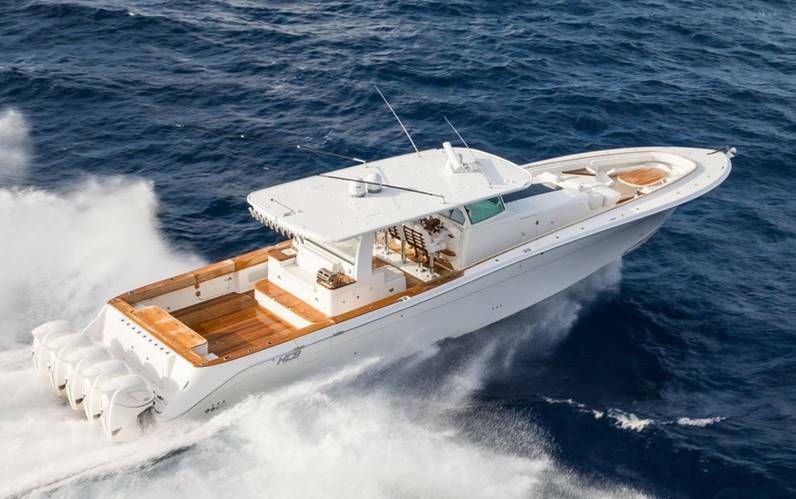 Perhaps it is the ideal vessel for the passionate, competitive angler, with an interior and luxe amenities wooing every lady to join the glamorous cruise. HCB reports Estrella 65 as the world’s largest center console yacht, redefining luxury with premium materials. 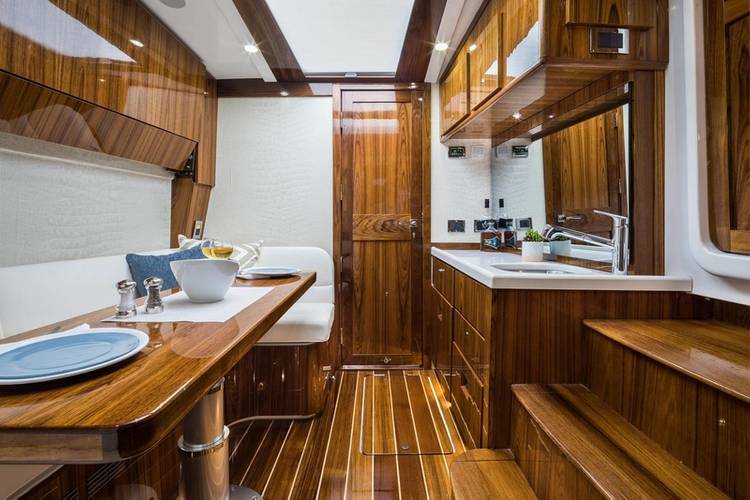 The interior features new helms with integrated features, real wood cabinetry including recycled driftwood and high gloss finishes with crown molding. Plush seating and yacht inspired options with a convertible galley, new transom seating and bow layout options make this fishing yacht truly comfortable. There is no flying bridge and this is not positioned as a center console boat; Estrella 65 is a center console yacht with sleek lines and a complete teak package option. She sleeps five and provides stylish dining for 10. 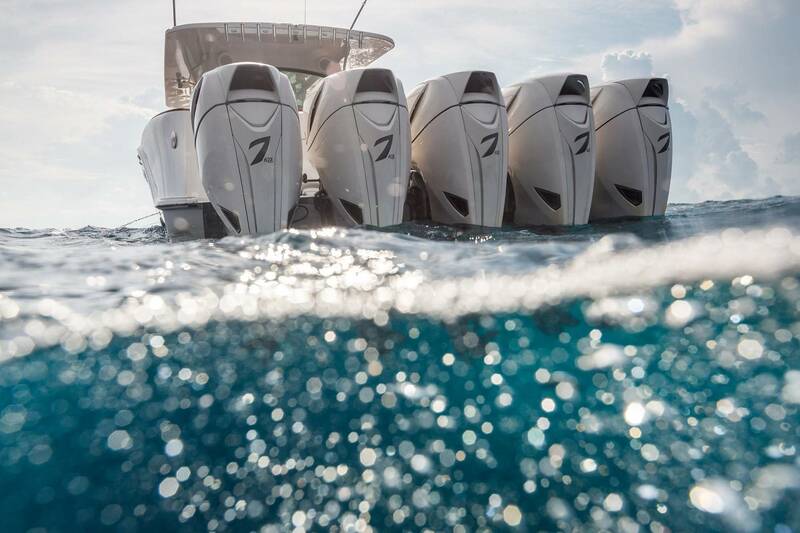 You’ll get to the fish first, powered by five Seven Marine 627S custom outboards built on CTS V8 motors for total 3135 HP.